Opened during the summer, Dickie’s Bar is a late-night drinking destination, adjoined to Corrigan’s Mayfair. A collaborative project between Richard Corrigan, Gregory Buda (from The Dead Rabbit, New York) and Richard Ryan (Founder of Drinksology), Dickie’s Bar bar has a culinary approach to cocktail creation, with ingredients taking centre stage. Here, the cocktail list uses the best of the season’s harvest, most of which is sourced from Richard Corrigan’s garden and farm, Virginia Park Lodge in Cavan, Ireland. Alongside a large selection of Irish whiskies, many of the drinks available at Dickie’s pay attention to home-infused sodas and tinctures, made from ingredients also sourced from Virginia Park Lodge, infused at Corrigan’s Mayfair and mixed with various spirits. 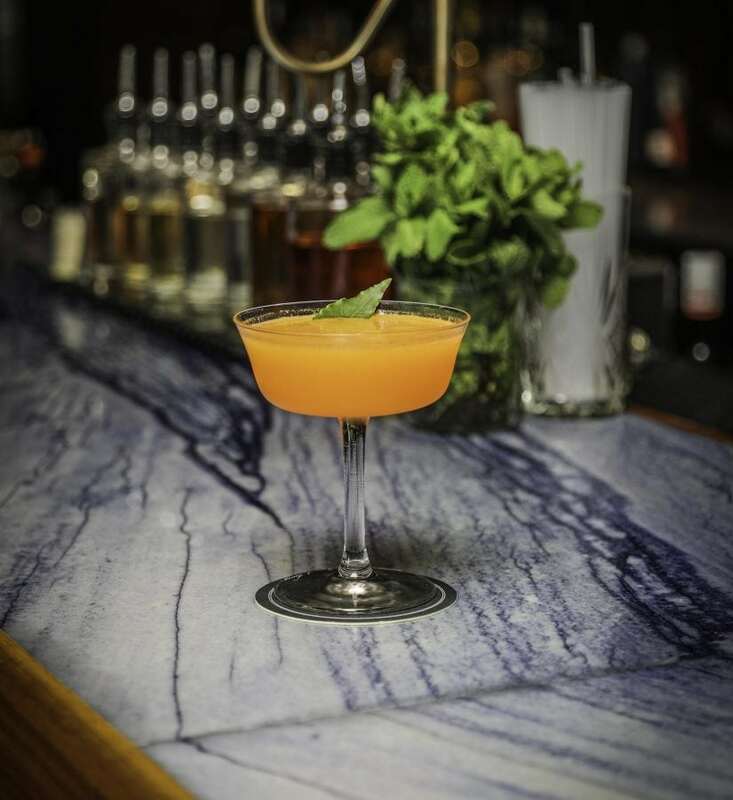 The bar’s ‘Walled Garden’, for instance, features a simple bay leaf tincture combined with Suze, lemon juice, carrot juice, cumin and coriander syrup, Bol’s genever and Brennevin Aquavit. Shake ingredients together and pour into a Daquiri glass. Garnish with a bay leaf. Further information on Dickie’s Bar can be found here.